If you are lucky enough to live somewhere with a warm climate, one of the most enjoyable additions that you can make to your home is a new deck. 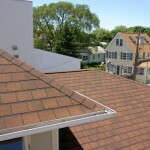 Like any other home addition, however, a little bit of careful thought is required if you’re going to get your money’s worth. Here are seven useful tips that should send your thoughts moving in the right direction. Be honest about your abilities. Building a deck yourself is certainly the cheapest option but if the result is going to be shoddy workmanship, is it really the best choice? Hiring a contractor to build a deck for you might not cost as much as you expect, especially if you keep the following in mind. Get multiple quotes. They put you in a powerful bargaining position. 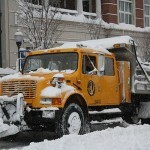 If you’re willing to wait, most contractors are willing to work for less when demand is low i.e. the end of year holidays. Some people choose to design their own deck in the hope of saving a little cash. Though it makes sense not to pay somebody to design a deck for you, it doesn’t make sense not to use the many free deck plans available online. Most come complete with both style and all necessary permit information. A quick Google search can save you quite a bit of drawing. 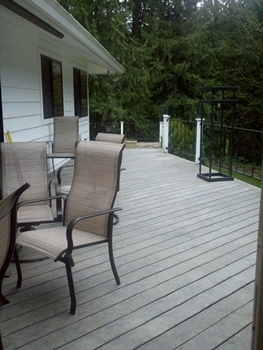 A deck is supposed to compliment your home’s existing look. 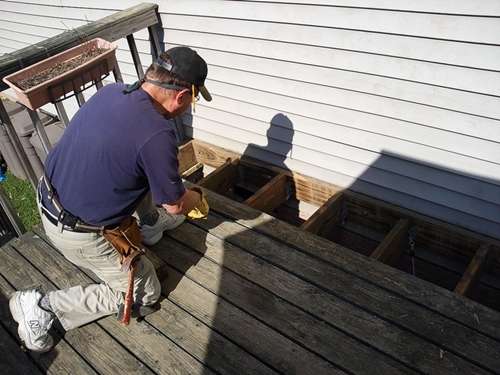 If you build a deck that is too large, you are likely to end up with a bit of an eye sore. Just how much room do you need to sit back and have a beer? 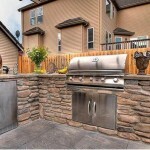 Experts suggest that a deck should measure no more than twenty percent of your home’s square footage. 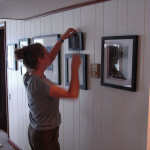 It’s largest section should also be smaller than your home’s largest room. What side of your home does the sun set? Most people enjoy sitting on their deck in the evenings. Privacy is essential if you want to be able to really relax. If possible, choose somewhere with a view. The last thing that you want to be looking at is a wall or road. A beautiful view from from the deck by Yolanda Arkilander. 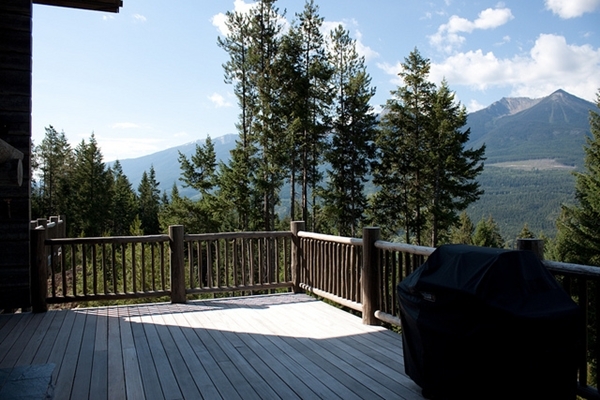 If you’re not a fan of home maintenance, choose a deck that requires very little. Though nothing can rival wood in the aesthetics department, materials such as aluminum and PVC require far less work. They are naturally water resistant and therefore don’t need to be stained. Speaking of building materials, if you’re a little short on funds, don’t sacrifice on build quality. You are much better off building a smaller deck than one that cannot stand up to the elements. 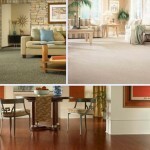 Low quality materials typically look just fine in store but within a matter of months, the difference will begin to show. 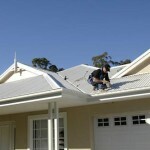 Many homeowners are put off the idea of outdoor lighting for fear of higher energy bills. 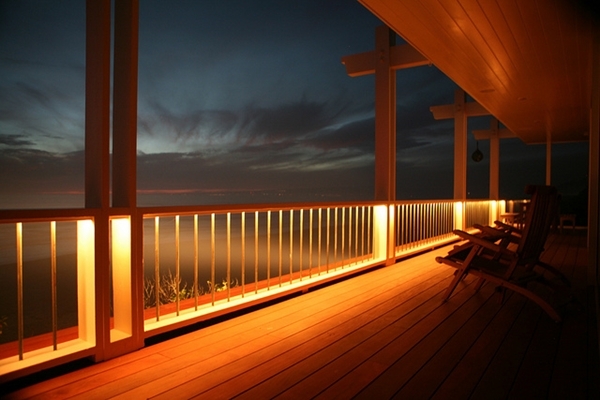 Outdoor or deck lighting doesn’t necessarily need to be expensive however. Solar lights are of course free and though you might occasionally pay for that fact in terms of reliability, they require less sunlight than most people think. A full charge is often sufficient for fifteen hours of illumination. Low voltage lights are another low cost option. Twelve volt lights cost very little to operate but are more than capable of illuminating a small deck. Emma Parkes writes articles for home improvement blogs. She thinks Windows and Doors are the fixtures that perforate the permeable barriers of our homes, acting to let in light inside and allow us to view the outdoors. Click on the link the know more about it.